Seamless, resistant. Its mix of durability and comfort make it one of the most complete training toe-shoe. Manufactured completely in leather. 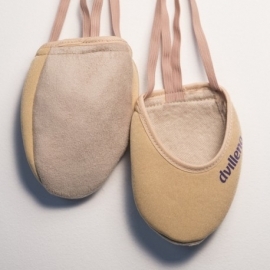 MORE INFORMATION ABOUT THE PRODUCT: ideal for gymnasts who practice daily due to its resistance and zigzag seam comfort. Its upper is wide, so if your foot is very thin we recommend you to order one size smaller. A caress on your foot. Suitable for slim feet. If you are looking for comfort and quality, what are you waiting for to take them home? MORE INFORMATION ABOUT THE PRODUCT: its name means caress. 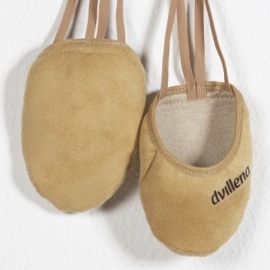 Besides being soft and comfortable, they fit perfectly to the foot and highlights the instep. The fabric has a brightness touch. Comfortable, soft and resistant. Its reinforced sole enhances durability. 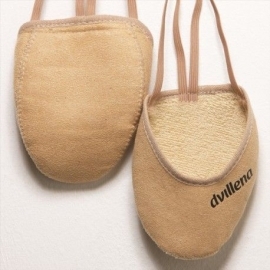 Feel the rhythm on your feet! 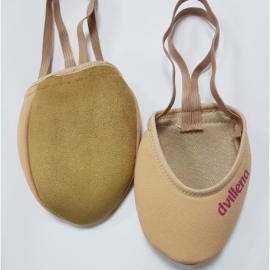 MORE INFORMATION ABOUT THE PRODUCT: Ritmiquera is one of the most resistant toe-cap for competitions due to its comfort and its reinforced sole. Used by several member of the Senior Spanish National Team and Laura Zeng (USA) among others. Comfort and quality without seams.Flexibility and freedom for all your movements! 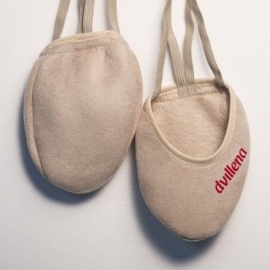 Sandra toe-shoe will accompany you in all your moves and you will never want to take them off. MORE INFORMATION ABOUT THE PRODUCT: if you are looking for comfort, harmony, flexibility and durability, you've chosen properly.